Krause, C., 1992. Ganzbaumanalyse von Eiche, Buche, Kiefer und Fichte mit dendroökologischen Methoden, unter besonderer Berücksichtigung von Klima-Wachstums-Beziehungen und Weiserjahren. (Analyse entière des chênes, des hêtres, des pins et des épinettes à l'aide des méthodes dendroécologiques en considérant les relations climat-croissance et les années repères). Diss. Univ. Hamburg, 163 p.
Krause, C., 1988. Dendroklimatologische Untersuchungen von Kiefern und Fichten in Schweden. (Analyses dendroclimatiques des pins et des épinettes en Suède). Diplomarbeit Univ. Hamburg, 99 p.
Krause, C., Lemay, A., Tremblay, S., Ruel, J. C., Plourde, P.Y. 2014. How does the root system inhibit windthrow in thinned black spruce sites in the boreal forest? Trees 28(6): 1723-1735. Rossi, S., Cairo, E., Krause, C., Deslauriers, A. 2014. Growth and basic wood properties of black spruce along an alti-latitudinal gradient in Quebec, Canada. Annals of Forest Science 72(1): 77-87. Saha, S., Kocaefe, D., Krause, C., Boluk, Y., Pichette, A. 2013. Enhancing exterior durability of heat-treated jack pine by photo-stabilization by acrylic polyurethane coating using bark extract. Part 2: Wetting characteristics and fluorescence microscopy analysis. Progress in Organic Coatings 76(2-3): 504-512. Rossi, S., Anfodillo, T., Cufar, K., Cuny, H.E., Deslauriers, A., Fonti, P., Frank, D., Gricar, J., Gruber, A., King, G.M., Krause, C., Morin, H., Oberhuber, W., Prislan, P., Rathgeber, C.B.K. 2013. A meta-analysis of cambium phenology and growth: Linear and non-linear patterns in conifers of the northern hemisphere. Annals of Botany 112(9): 1911-1920. Huang, X., Kocaefe, D., Kocaefe, Y., Boluk, Y., Krause, C. 2013. Structural analysis of heat-treated birch (Betule papyrifera) surface during artificial weathering. Applied Surface Science 264: 117-127. Krause, C., Dery Bouchard, C.A., Plourde, P.Y., Mailly, D. 2013. Compression wood and stem horizontal displacement in black spruce and Jack pine plantations in the boreal forest. Forest Ecology and Management 302: 154-162. Simard, S., Morin, H., Krause, C., Buhay, W.M., Treydte, K. 2012. Tree-ring widths and isotopes of artificially defoliated balsam firs: A simulation of spruce budworm outbreaks in Eastern Canada. Environmental and Experimental Botany 81: 44-54. Krause, C., Luszczynski, B., Morin, H., Rossi, S., Plourde, P.Y. 2012. Timing of growth reductions in black spruce stem and branches during the 1970s spruce budworm outbreak. Canadian Journal of Forest Research 42: 1220-27. Krause, C., Laplante, S. Plourde, P. Y. 2011. Tracheid transversal dimension in thinned black spruce and Jack pine in the boreal forest. Scandinavian Journal of Forest Research 26: 477-487. Simard, S., Morin, H., Krause, C. 2011. Long-term spruce budworm outbreak dynamics reconstructed from subfossil trees. Journal of Quaternary Science 26(7): 734-738. Vincent, M., Krause, C., Koubaa, A. 2011. 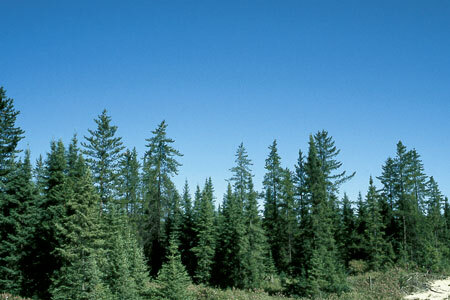 Variation in black spruce (Picea mariana (Mill.) BSP) wood quality after thinning. Annals of Forest Science 68(6): 1115-1125. Deslauriers, A., Rossi, S., Turcotte, A., Morin, H., Krause, C. 2011. A three step procedure in SAS to analyse the time series from automatic dendrometers. Dendrochronologia 29(3):151-161. Tarraux, E., Desrochers, A., Krause, C. 2010. Effect of natural root grafting on growth response of Jack pine (Pinus banksiana Lamb.) after commercial thinning. Forest Ecology and Management 260: 526–535. Krause. C., Rossi, S., Thibeault-Martel, M., Plourde, P.Y. 2010. Relationships of climate and cell features in stems and roots of black spruce and balsam fir. Annals of Forest Science 67: 402-409. Plourde, A., Krause, C., Lord, D. 2009. Spatial distribution, architecture, and development of the root system of Pinus banksiana Lamb. in natural and planted stands. Forest Ecology and Management 258: 2143-2152. Vincent, M., Krause, C., Zhang, S.Y. 2009. Radial growth response of black spruce roots and stems to commercial thinning in the boreal forest. Forestry 82: 557-571. Krause, C., Morin, H., Plourde, P.Y. 2009. 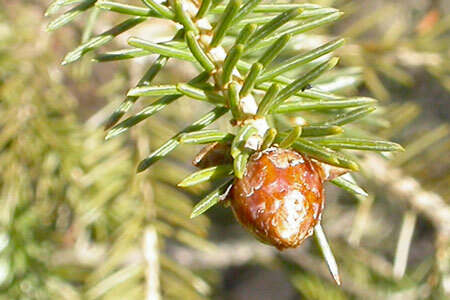 Juvenile growth of black spruce (Picea mariana (Mill.) B.S.P.) stands established during endemic and epidemic attacks by spruce budworm (Choristoneura fumiferana (Clemens)) in the boreal forest of Québec, Canada. The Forestry Chronicle 85: 267-276. Turcotte, A., Morin, H., Krause, C., Deslauriers, A., Thibeault-Martel, M. 2009. The timing of spring rehydration and its relation with the onset of wood formation in black spruce. Agricultural and Forest Meteorology 149: 1403-1409. Krause, C., Plourde, P.Y. 2008. Stem deformation in young plantations of black spruce (Picea mariana (Mill.) B.S.P.) and jack pine (Pinus banksiana Lamb.) 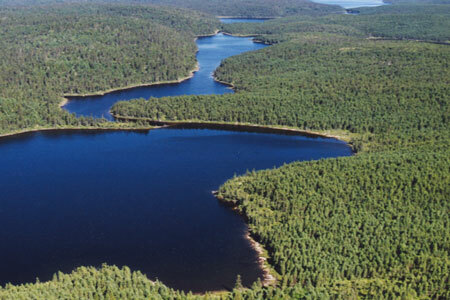 in the boreal forest of Québec, Canada. Forest Ecology and Management 255(7): 2213-2224. St-Germain, J.L., Krause, C. 2008. Latitudinal variation in tree-ring and wood cell characteristics of Picea mariana across the continuous boreal forest in Quebec. Canadian Journal of Forest Research 38(6): 1397-1405. Simard, S., Elhani, S., Morin, H., Krause, C., Cherubini, P. 2008. Carbon and oxygen stable isotopes from tree-rings to identify spruce budworm outbreaks in the boreal forest of Québec. Chemical Geology 252: 80-87. Thibeault-Martel, M., Krause, C., Morin, H., Rossi, S. 2008. Cambial activity and intra annual xylem formation in roots and stems of Abies balsamea and Picea mariana. Annals of Botany 102(5): 667-674. Ding, W.-D., Koubaa, A., Chaala, A., Belem, T., Krause, C. 2008. Relationship between wood porosity, wood density and methyl methacrylate impregnation rate. Wood Material Science and Engineering 3(1-2): 62-70. Migneault, S., Koubaa, A., Erchiqui, F., Chaala, A., Englund, K., Krause, C., Wolcott, M. 2008. Effect of fiber length on processing and properties of extruded wood-fiber/HDPE composites. Journal of Applied Polymer 110(2): 1085-1092. Krause, C., Gagnon, R. 2006. The relationship between site and tree characteristics and the presence of wet heartwood in black spruce in the boreal forest of Québec, Canada. Canadian Journal of Forest Research 36(6): 1519-1526. Krause, C. 2006. Growth development of a balsam fir (Abies balsamea (L.) Mill.) originating from layering. Dendrochronologia 23(3): 139-143. Krause, C., Morin, H. 2005. Adventive root development in mature black spruce and balsam fir in the boreal forests of Québec, Canada. Canadian Journal of Forest Research 35(11): 2642-2654. Krause, C., Gagnon, R. 2005. Wetwood distribution in black spruce (Picea mariana (Mill.) B.S.P. )).Northern Journal of Applied Forestry 22(1): 12-18. Krause, C., Gionest, F., Morin, H., Maclean, D. 2003. Temporal relations between data of defoliation by the spruce budworm and the growth of balsam fir. Dendrochronologia 21: 23-31. Krause, C., Morin, H. 1999. Root growth and absent rings in mature black spruce and balsam fir, Québec, Canada. Dendrochronologia 16-17: 25-39. Krause, C., Morin, H. 1999. Tree-ring patterns in stems and root systems of black spruce and balsam fir after spruce budworm outbreaks. Canadian Journal of Forest Research 29: 1583-1591. Krause, C. 1997. The use of dendrochronological material from buildings to get information about past spruce budworm outbreaks. Canadian Journal of Forest Research 27: 63-68. Krause, C., Morin, H. 1995. 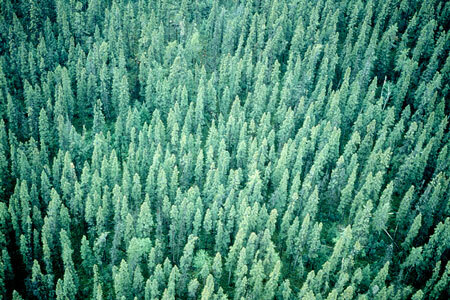 Impact of spruce budworm defoliation on the number of latewood tracheids within balsam fir and black spruce. Canadian Journal of Forest Research 25: 2029-2034. Krause, C., Morin, H. 1995. Changes in radial increment in stems and roots of balsam fir (Abies balsamea Mill.) after defoliation by spruce budworm. The Forestry Chronicle 71: 747-754. Krause, C., Eckstein, D. 1993. Dendrochronology of roots. Dendrochronologia 11: 9-23.